New members join the VVE on a regular basis. At the moment we have vacancies for a tenor and a bass. If you like to sing and have some choir experience, you’re more than welcome to attend a rehearsal to get an impression of the choir and how we work. We usually work on a variety of pieces during each rehearsal. To get the maximum benefit out of the rehearsal time, choir members are expected to prepare by studying the music at home. Does it sound like the VVE is just what you’re looking for? If you would like to attend a rehearsal, please contact VVE’s chairman, Arjen Verweij: arjen.verweij@planet.nl to arrange an appointment. If you would like to join the choir, a short audition will take place after the rehearsal. 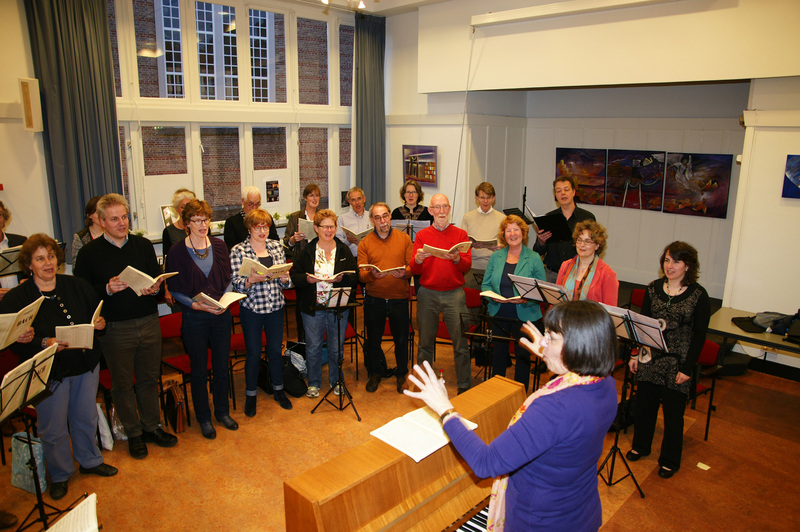 Rehearsals are Wednesdays from 8:00 to 10:00 PM in De Voorhof (next to the Oude Kerk), Herenstraat 77a in Voorburg. We hope to welcome you soon!